source Pamplona is a city in Spain where Trabber offers 36 hotels. Has a population of 198,000 residents. The currency used is the Euro (€). The closest airports to the city center are Pamplona (5 km), San Sebastián (61 km), Logroño-Agoncillo (68 km) and Vitoria (88 km). The more centrally situated hotels in Pamplona are Hostal Arriazu, Gran Hotel La Perla, Apartment Plaza Castillo, Sercotel Europa and Hotel Pompaelo Plaza del Ayuntamiento & Spa. 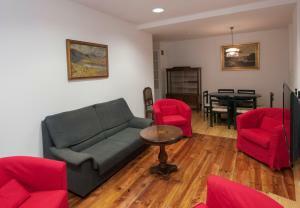 You can find cheap hotels in Pamplona from 18 € per night.